We're one step closer to a link tax and a war on memes. The European Parliament just approved a new sweeping copyright law that could make the internet a much worse place for pretty much everyone. Today, the parliament voted on the “Copyright Directive”, a piece of legislation intended to protect the digital property of digital publications. It passed — 438 members of parliament (MEP) for, 226 against. That’s a big deal because it includes two extremely controversial provisions: Article 11 and Article 13. Article 11 is meant to give publishers on the internet the ability to make an extra buck by imposing a “link tax.” Put simply, it’s supposed to shift some of the massive profits away from powerful news aggregators like Facebook and Google by allowing smaller publishers to charge them each time the aggregators link to their sites. The problem? Publishers who can afford to charge news aggregators like Facebook and Google lower rates will thrive. Smaller publishers who can’t afford the cutthroat rates will be boxed out. Article 13 forces platforms like YouTube to filter all newly uploaded content for any copyright infringing material using specially implemented algorithms. News outlets have been referring to these as “censorship machines,”; others have declared Article 13 as starting a “war on memes” since these filters could easily end up flagging the endlessly-shared, slightly-altered images. Unsurprisingly, the internet is not in love with that decision. High-profile internet personalities like Wikipedia founder Jimmy Wales have already voiced their discontent. 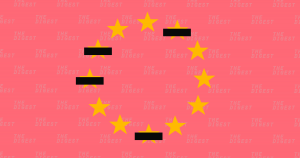 Article 13 could end up having a direct negative impact on freedom of speech because sites must carefully monitor every upload to ensure they don’t infringe any copyright. If YouTube is any example, those kinds of filters aren’t exactly foolproof — content creators on the video platform have been complaining for years about how YouTube has been mistakenly flagging their content for copyright infringement. Even though the European Parliament passed the Copyright Directive, it’s not locked into law quite yet. There’s still one more Parliament vote in January. If the Directive passes then, it will be up to individual EU member countries to decide on how to put it into practice, and that could open up a huge range of adoption and enforcement. As we have seen with the General Data Protection Act, implementing far-sweeping new rules on the world wide web is far from straightforward, and it will take a lot of time until EU members have decided on how to implement them. Though we’re a long way from a link tax, critics of the new law think the European Parliament’s decision sends a strong message: in Europe, free speech might be at risk.